Size: 6.6 x 4.5 inches. 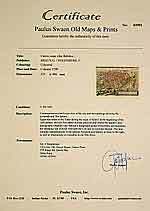 Condition: Justification: 85x62 mm. 14 Lines of text in Dutch. With the usual very light marginal tumbling. Condition of this leaf is very good. 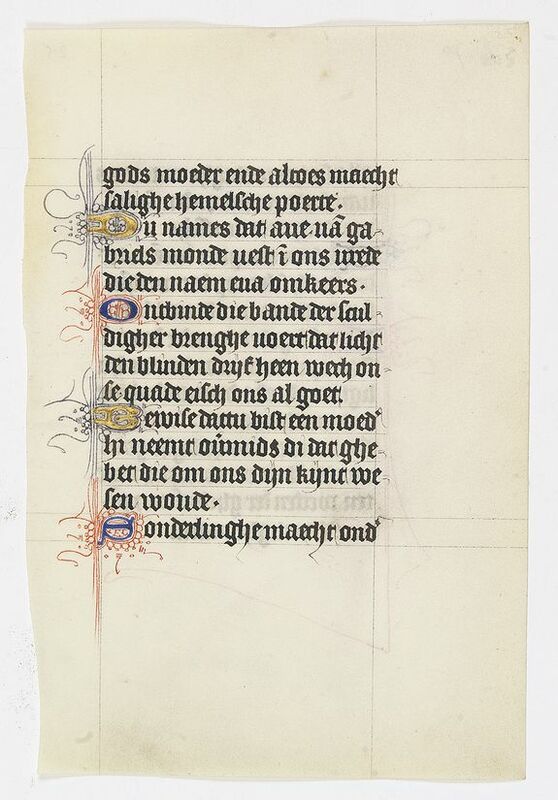 A leaf from a medieval manuscript Book of Hours, written in Utrecht. 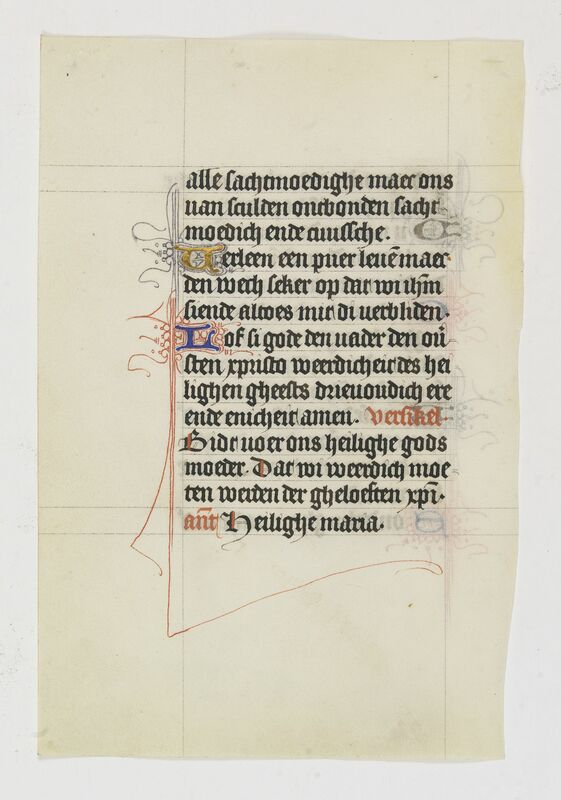 VERSO: Fourteen lines of monastic Textura script with two 1-line initials in liquid gold or blue ink on red or purple pen work grounds.